WATCH: Video captures ghost on Vikings ride, real or fake? Home / ghost theme park ride / ghost vikings ride / news / video / viral / WATCH: Video captures ghost on Vikings ride, real or fake? 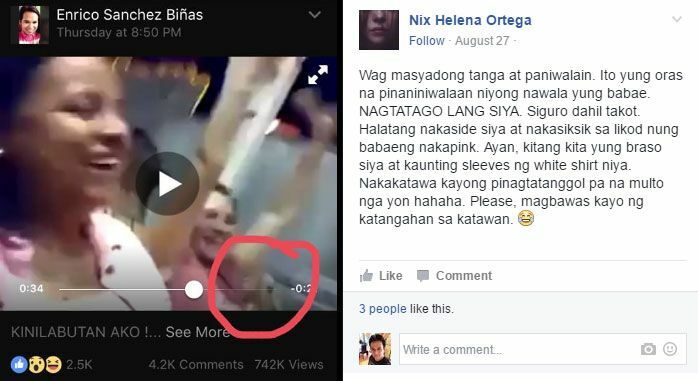 A video that captured what is believed to be a ghost on a Vikings ride in a theme park in Pasay City has gone viral. Is it real or fake? The 55-second clip shows a group of people composed of 1 man and 3 women enjoying the pendulum ride, laughing and shouting at the top of their lungs. However, the woman wearing a white shirt sitting farthest to the man taking the groupfie video apparently disappears. Enrico Sanchez Biñas, the Facebook user who posted the video, said he felt goosebumps while watching it. There were supposed to be three persons on the ride but four can be seen in the video, he claimed, adding that the ghost who joined the group died in an accident on the same spot in 2008. According to him, the victim suffered burns on her face and was pronounced dead on arrival at the hospital. The viral video earned mixed reactions from viewers; many believed while some were skeptical. Among those who doubted is a certain Nix Helena Ortega, who told others not to be gullible and easily fooled. 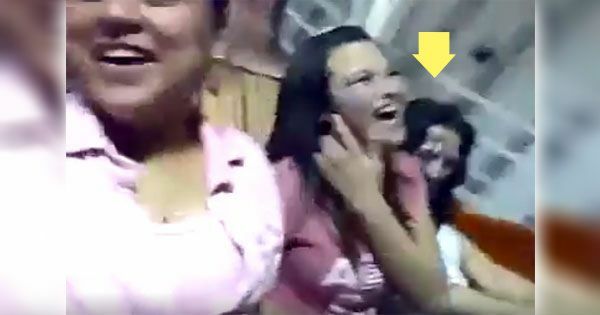 Ortega attached a screenshot of the video and pointed out that the woman who allegedly disappeared was just hiding behind the woman wearing pink, probably because of fear. She said that at one point, the woman's arm and part of her sleeves can be spotted in that camera angle. The theme park's management has yet to give a word on the matter. As of 7:30 a.m. today, the video already garnered more than 20,000 shares and over 1.1 million views on Facebook. Is the ghost on the Vikings ride real or fake? What do you think?